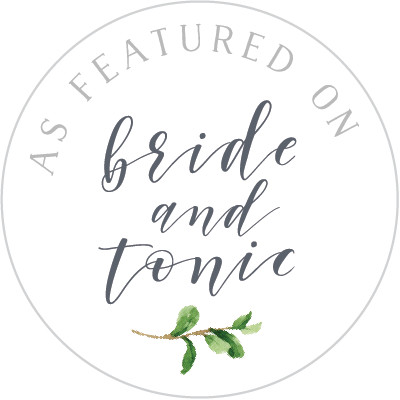 Originally this shoot was planned for the sand dunes, however the torrential rain the days prior made us all a little nervous; we managed to secure a venue which took this shoot to a whole other level. 3 Cowper Street generously let us use their space, which has had an epic renovation and I cannot wait until they can start take bookings! The day of, the sun was shining (of course) and the weather was on our side. Cleared the ground so our stylist, desserts and grazing stylist could set up the epic grazing table below. Jessica from Mae Petite Cakes brought it to life with so many beautiful handmade desserts and added extra elements. 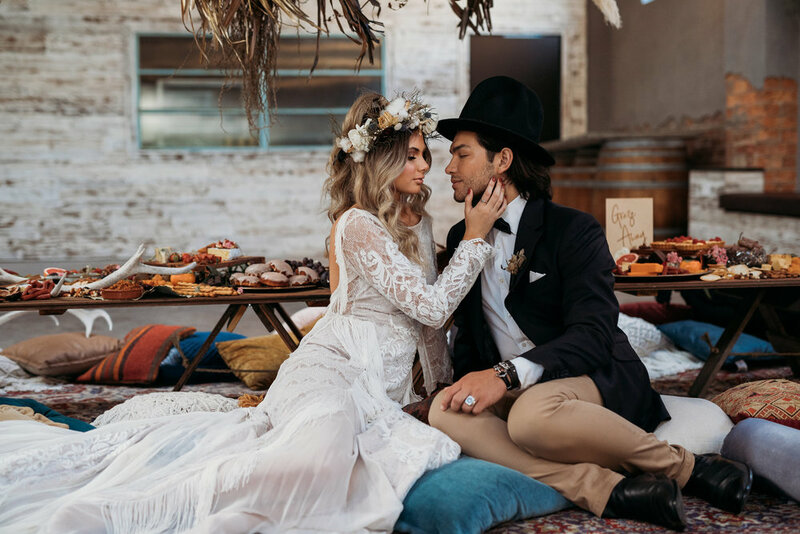 Working together with Sophie from Sunday Graze, they styled the epic spread you see below. The ceremony was the next spot to be done. My hand made triangular arch being the feature along with an epic dried palm and foraged grass spray. Signs and hanging mandala from laser cutting master Tracey from HTM Creative. Once the warehouse was set and ready, raced down to see the glamping zone! I walked into heaven! 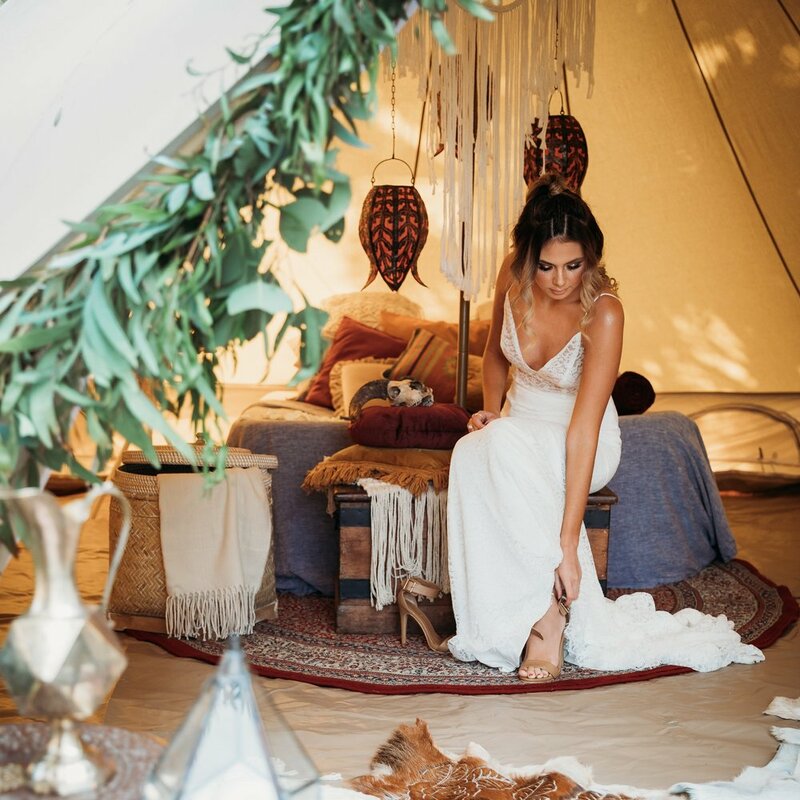 Hidden among the mangroves, Glamp In The Hunter had set up a gorgeous bell tent, styled by H&A. Adding the foliage garland, and other floral goodness, we finished the space and the shoot began. Tahlia was goddessed up by The Boys, Dean and Mitch are the epic duo of hair and make up, and all I can say is wow! Switching between two gowns, one by When Freddie Met Lilly, other supplied by Lily Grace Bridal. Bonnie from Bonnie Lass Films was also capturing the day. Along with set up, the incredible video you can watch below. They worked in harmony and bouncing ideas off each other, it was wonderful to see. At the end of the day, we were all still buzzing. Creative freedom and an incredible team is what we dream of.